New Independent Tour ​for the Time Poor! Our friendly van driver will pick you up from your accommodation and take you directly to the Ban Thapene, the village of Kuangsi Waterfall. This scenic drive goes through villages, and rice fields. 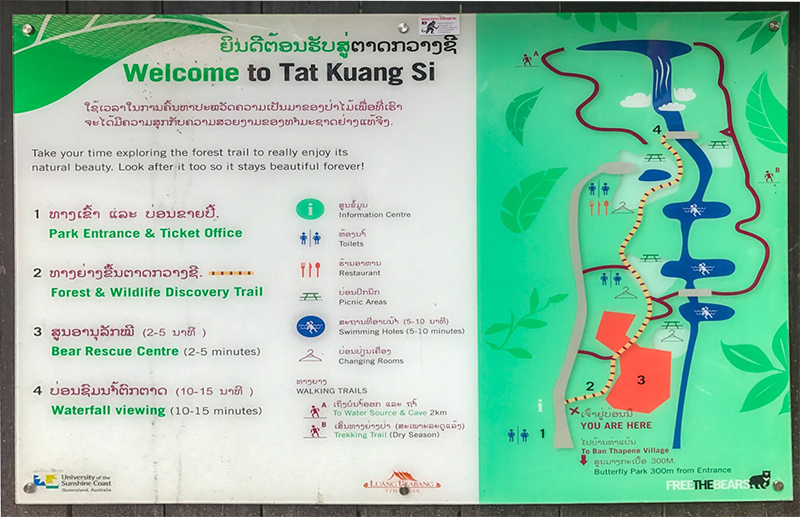 First stop is Kuangsi Waterfall, entering this park you will encounter the Bear Sanctuary, where many Asian bears live, rescued from bile farms, traps and cages. Follow the path to the pools and the magical falls. Further down the road is the Butterfly Park. In the cool season these creatures come alive later in the morning. This small, creatively designed garden, is home to many species.